Great Weather! Time to Plant? Wow! 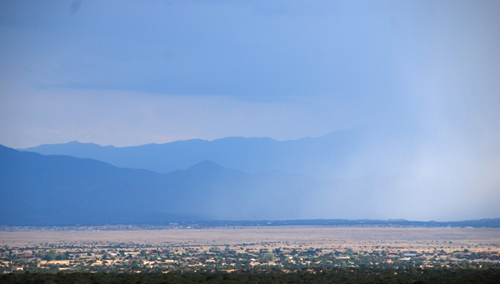 Great weather this weekend with no wind, warm temperatures and wonderful rain today. I hear tomorrow brings more rain. Today we had some great rain and boy is it welcomed. The native plants and trees and all of our plants are sucking it up. I can’t remember getting this much rain at this time of year in May. A great big plus is the night temperatures are starting to warm up too with the next 10 nights suppose to be from 35°F- mid 40’s. Pretty cold but above freezing. So can we plant tomatoes? Is it time? Well that depends on whether the nighttime temperatures remain above freezing. Of course the first frost-free date is officially May 15th historically speaking, but back in 2011, we had a very warm May and many of us planted early as it never got below freezing that May. Is this one of those Mays? Who knows, unless you have a magic ball. By the way, I waited to plant my giant pumpkins till later in 2011 (as they are so frost tender) and my 2010 State Record got broken that year by someone who went for it early. I guess I should have put them in but I just didn’t want to chance it. You have to be a bit of a gambler to put your plants in now. But if you are a gambler and want to plant your tomatoes early, be sure you plant using wall of waters (WOW) as shown above. If you use them, and the temperatures dip below freezing, they will protect your new tender plants. I always use them even when the nighttime temps are in the 40’s as I feel they provide more heat at night and keep them from setbacks. The cells of water warm up all day and give back the warmth at night to the plants like little greenhouses or cloches. 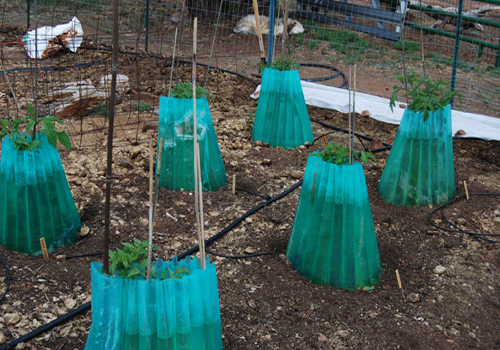 Once they outgrow the WOW’s (like in the photo above), take them off the tomatoes, which will probably be late May. Do not leave them on all summer. NO, this IS NOT what my garden looks like right now-I WISH! This is the garden in early June in 2010. Here are 10 OUT OF 100 things you could do in your garden in May. GET BUSY-9 DAYS TILL MAY 15th! -Water, water, water–all existing trees, bushes, fruits and vegetables–we’ve had a very dry winter-everything is parched! -Clean up any perennial beds from the fall if you haven’t already. -Add composted (aged, old, cold) horse manure to your vegetable beds/turn over. -Check/install/hook-up drip systems for vegetable beds. Get replacement parts as needed. -Buy any last-minute seeds/or any vegetable starts you don’t have but still want. 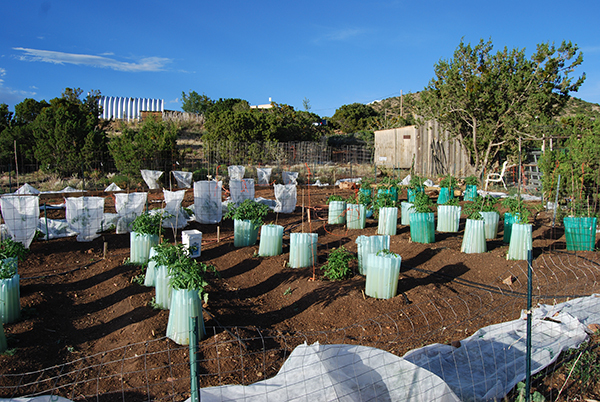 -Buy those wall of waters for your tomatoes and row cover BEFORE you plant tomatoes. -Transplant up any veggie you bought that is now too small for its pot. -Buy any amendments, fertilizers and supplies you will need when planting. -Harden off your plants before putting them outside in the garden. -Fertilize with fish emulsion and seaweed any cool season crops you have. Start to harvest when ready. -After May 15th, it should be safe to plant warm season crops-go for it! OK- these are 11 things but like I said, there are probably 100 things we could do in the garden right now! !